Poker tournaments have become one of the most popular and successful fundraising campaigns for many groups. 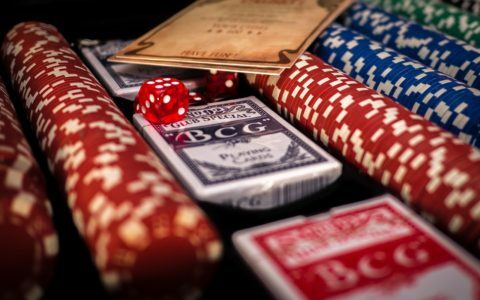 Schools, non-profit organizations, businesses and local charities are organizing casino style card tournaments to raise money for their projects. These parties are popular for several reasons. They attract bigger crowds of people, are exciting and have a higher earning potential that most fundraising activities. Gaming events are easy to organize. At Casino Party Experts, we have an excellent fundraising program to help you plan an exciting casino style event. The theme of your event will set the tone for the entire evening. Some popular themes include the roaring twenties, Oscar night, mafia life, silver and gold or a movie or TV series theme. Once you have chosen the theme for the evening, you can then choose the right decorations to create a spectacular atmosphere. At Casino Party Experts, we have professional card tables to compliment any theme and room design. Our rentals are high-quality gaming tables that are similar to tables used in casinos around the world. We also provide chips, cards, and fun money. Our professional dealers run the tables. These highly trained professionals will keep the game exciting for everyone. To get an estimate for your fundraiser party rentals, call us at (317) 857-0168. Many TV, radio and news sources allow some free advertising for charitable events. Using these venues along with other marketing strategies will help promote your gala. There are numerous ways you can advertise your tournament including word of mouth, your organization’s newsletter, sending emails, and posting on your social media and website pages. Start advertising early so that people have time to plan their evening and help spread the word. The sooner you start planning your tournament the more time it will give you to plan and explore different prize options. There are many creative and exciting prize packages you can organize. Big ticket items such as electronics, trip and, vehicles will easily bring throngs of people to your event. Smaller complimentary prizes such as gift bags full of goodies, gift cards to different businesses or services are also popular and can be included as auction prizes. Auctions are another way to make money with large ticket items. Your players can win or buy auction tickets with the fun money they get from playing poker. Part of your event planning will include food and beverage options. Before hiring a catering service, decide what type of food you wish to serve. Appetizers and finger foods are the most popular dishes and easy to organize. Volunteers can help serve the food and drinks to your guests so you can save on hiring serving staff. At Casino Party Experts, we can help you organize an exciting poker tournament for your next fundraising campaign. We are experts in organizing card games and can help with all of your event needs. Find out what all the excitement is by hosting your own poker tournament fundraiser. Give us a call at (317) 857-0168 for an estimate for your fundraiser rentals.